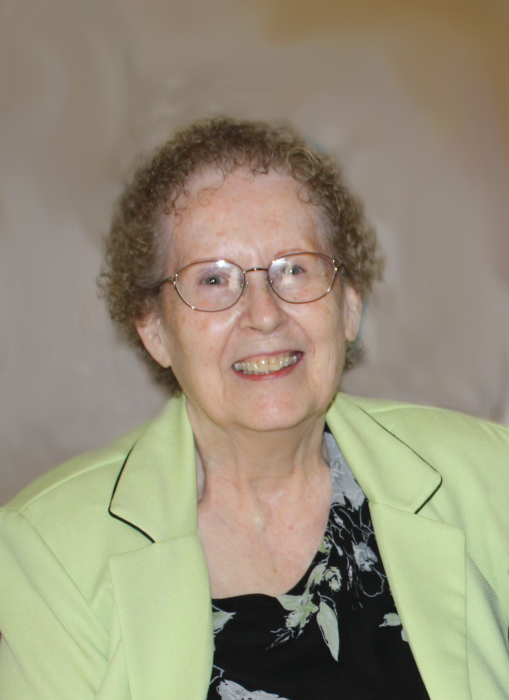 Louise Kaye Bertelsen Atherley passed away February 1, 2019 in Richfield. She was born April 12, 1938 in Salt Lake City to Lane Joseph and Etta Marie Long Bertelsen. She married Robert Lawren Atherley July 19, 1958 in Marysvale. He passed away suddenly September 10, 1985. Louise had the perfect childhood growing up in Marysvale and always felt like it was home. She was known for being very studious but also very witty. She spoke fondly of her first car "Sadie". She loved animals, especially the family horses and dogs. She had several nicknames – among them "Weegee", "Basco" and her favorite later in life "Gug". 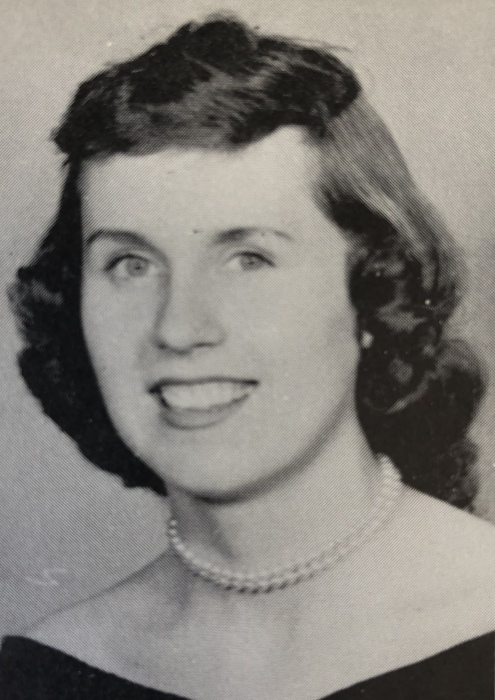 A 1956 graduate of Marysvale High School, Louise went on to attend the College of Southern Utah 1956-57, and then to Stevens-Heneger College of Business, graduating in 1958. Married Robert Lawren Atherley July 19, 1958 in Marysvale. She was very close to both hers and Lawrie’s siblings and cherished those relationships. She was not especially fond of fishing, but since Lawrie was, Louise spent many weekends at the rivers and reservoirs watching him at his favorite pastime. She enjoyed nature, the ride and the company. After Lawrie’s death, Louise traveled with her daughter’s family on many road trips that rivaled the Griswolds. Always made for fun memories after surviving the trips. When she was no longer able to travel as freely her family would bring her back a mug from their adventures. She had an extensive mug collection that she treasured. Louise worked as secretary at Richfield Commercial Bank, the Utah State Welfare Department and finally for Utah State Rehabilitation Services for 30 years retiring in 1999. She made many lifelong friends there. She was an avid sports fan - especially the Jazz and BYU. 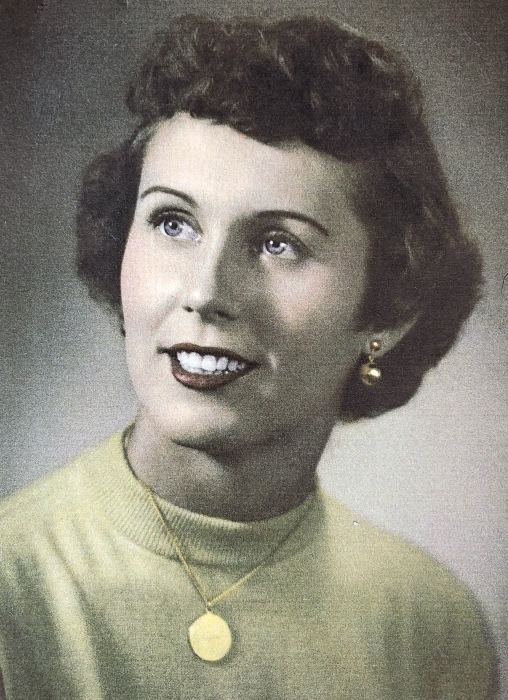 She loved football, basketball, golf and tennis. She got excited for All-Star games, the Super Bowl, NBA playoffs, the Triple Crown and really looked forward to March Madness where each year she would do a bracket with all her picks and then in red show the ones she missed. Each year Louise would try to better her results from the previous year. She was known through her life for her sense of humor, witty one-liners and fear of spiders. She had a love of birds that she got from her mother and later in life became a "crazy cat lady", adopting and feeding most of the feral cat population on Richfield’s west side. Louise’s world evolved around her grandchildren. She traveled the state as a very proud grandma attending track meets, basketball games, wrestling tournaments, football games, dance and tumbling competitions. She enjoyed sharing her love of sports with them. She was especially proud of each of them and their hard work as they graduated from college and was able to attend some of their graduations. She was the best Gug ever. She is survived by daughter, Linda (Danny) Leavitt, Joseph; grandchildren: Robby (Jessica) Leavitt, Tulsa, OK; Nicki (Brett) Blackner, Cedar City; Angie Leavitt (Beau Holbert), St. George; Joey (Tenniel) Leavitt, Spring Creek, NV; great-grandchildren: Tayla, Haylee and Rylee Blackner; Gray Leavitt. Also preceded in death by her parents; siblings: Jerry Bertelsen, Marie (Windsor) Hupp, Marcia Galli, Curtis Jackson. There's still time to send flowers to the Memorial Service at the Richfield City Cemetery at 12:00 PM on April 20, 2019.